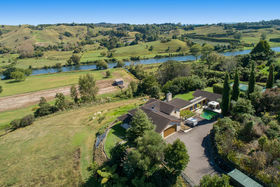 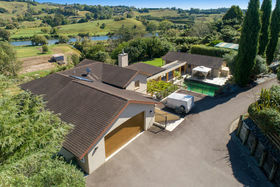 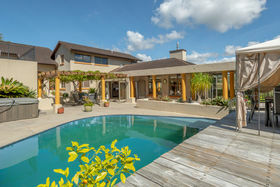 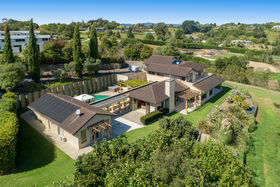 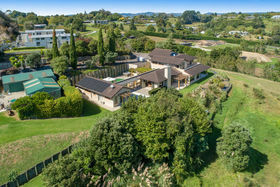 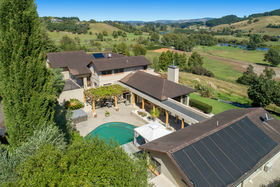 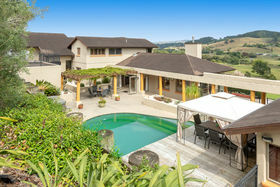 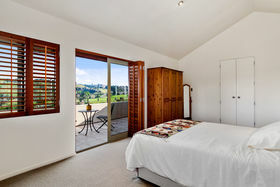 Superbly elevated to provide stunning Wairoa River views and a semi-rural outlook, this beautiful Mediterranean influenced home on 2.3680 hectares is located in popular Tauriko and is brimming with colourful features. 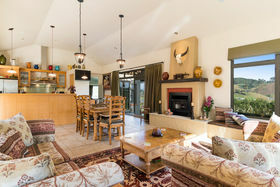 The main home offers spacious living and a variety of entertaining zones, seamlessly blending the indoors with the outdoors. 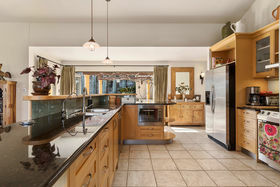 The open kitchen with its stainless steel double ovens, gas hobs and granite benchtops are just perfect for the home chef. 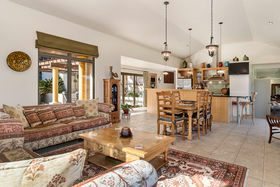 The large centre island overlooks the dining space and the family living beyond, all of which are warmed by the centrally placed wood burner. 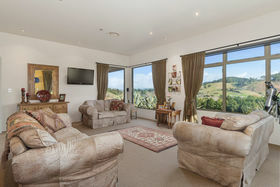 Also on the ground floor there's a separate lounge, media room and master suite with luxurious marbled ensuite. 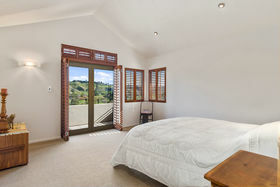 Take the wrought iron staircase or lift to the upper level which comprises three spacious bedrooms and a generous family bathroom. 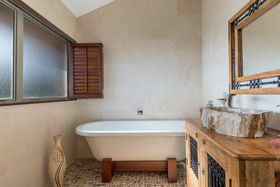 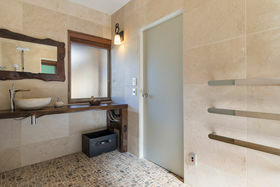 Guests and relatives will enjoy their own space and privacy in the comfortable separate accommodation which comprises one bedroom, a bathroom and cosy lounge. 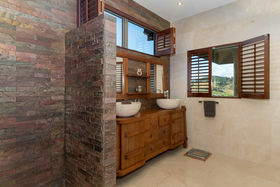 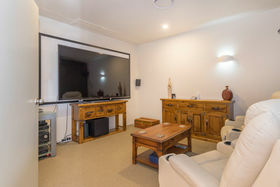 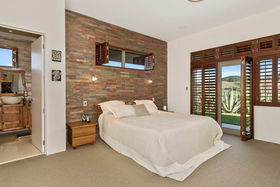 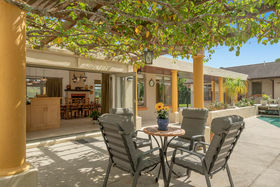 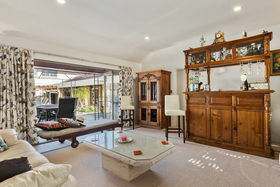 Connecting the home with the separate accommodation is the solar heated pool, spa and paved outdoor living area, perfectly sheltered for enjoying all year round. 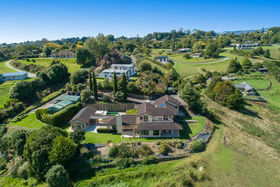 The gardens and lawns are easy to maintain and there is enough land to graze an animal or two if you desire. 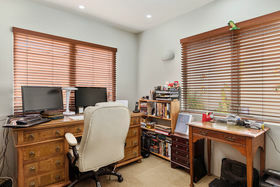 The two sheds nicely tucked away easily cater for any gardening tools and mowers, keeping the handyman happy. 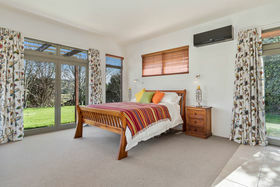 Ideally located, you are minutes away from Bethlehem College, Bethlehem hub, The Crossing at The Lakes and a ten minute drive from the CBD. 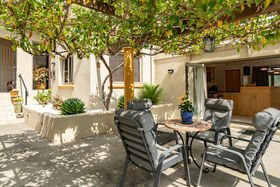 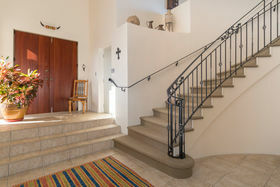 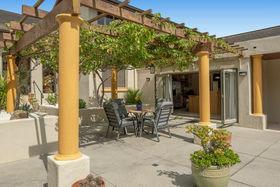 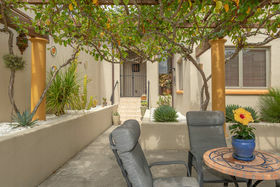 With a distinct point of difference, this is a rare opportunity indeed, simply unpack, relax and enjoy the lifestyle.